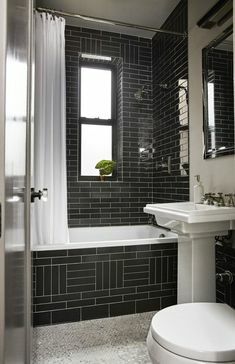 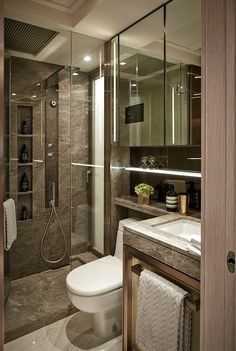 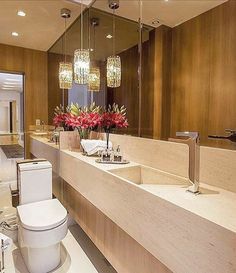 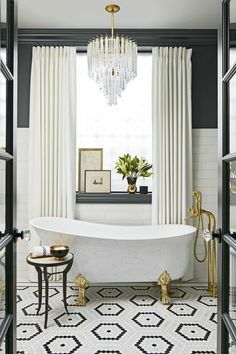 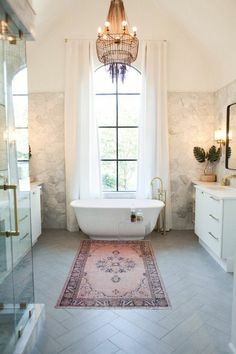 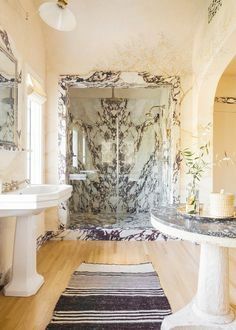 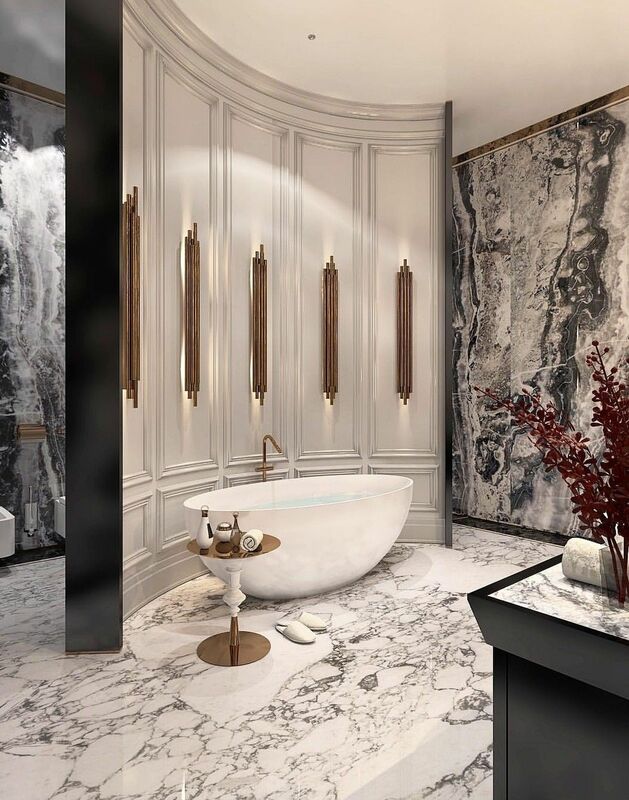 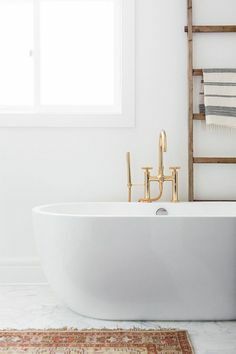 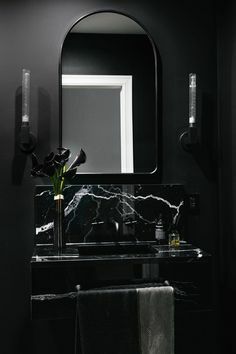 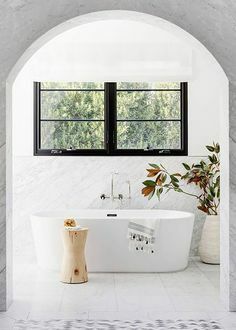 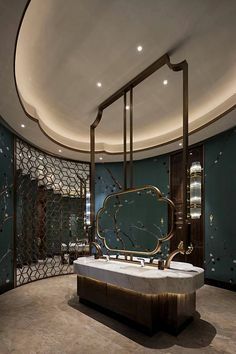 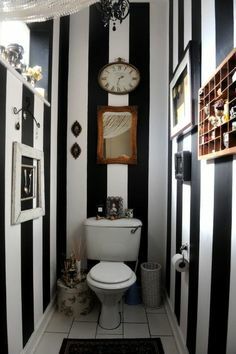 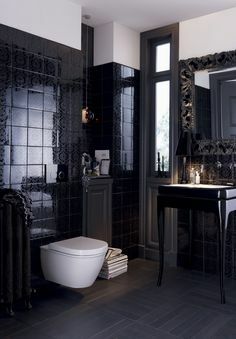 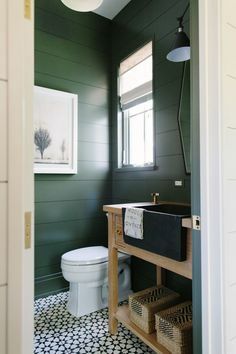 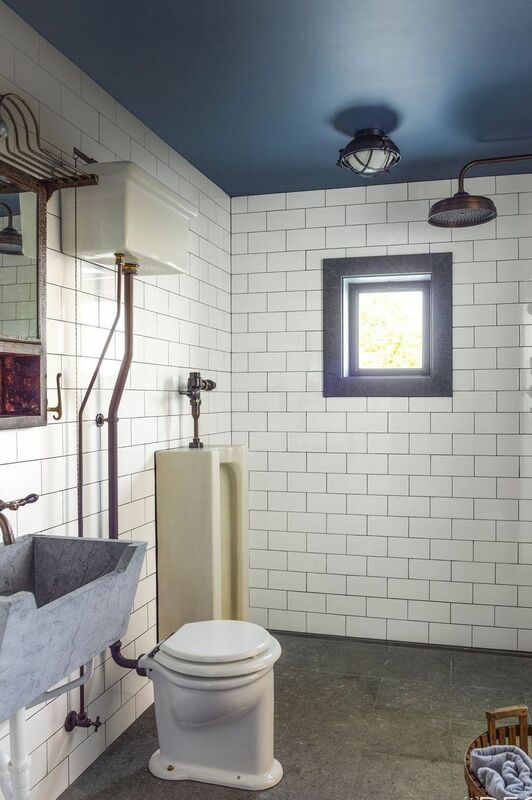 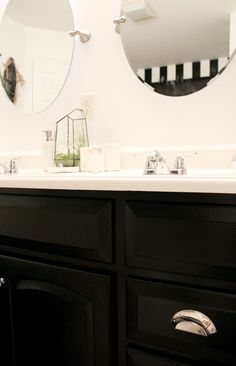 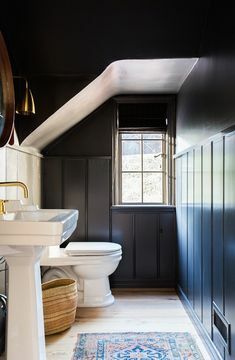 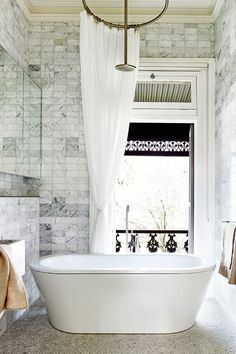 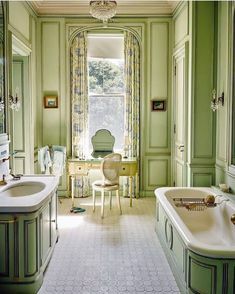 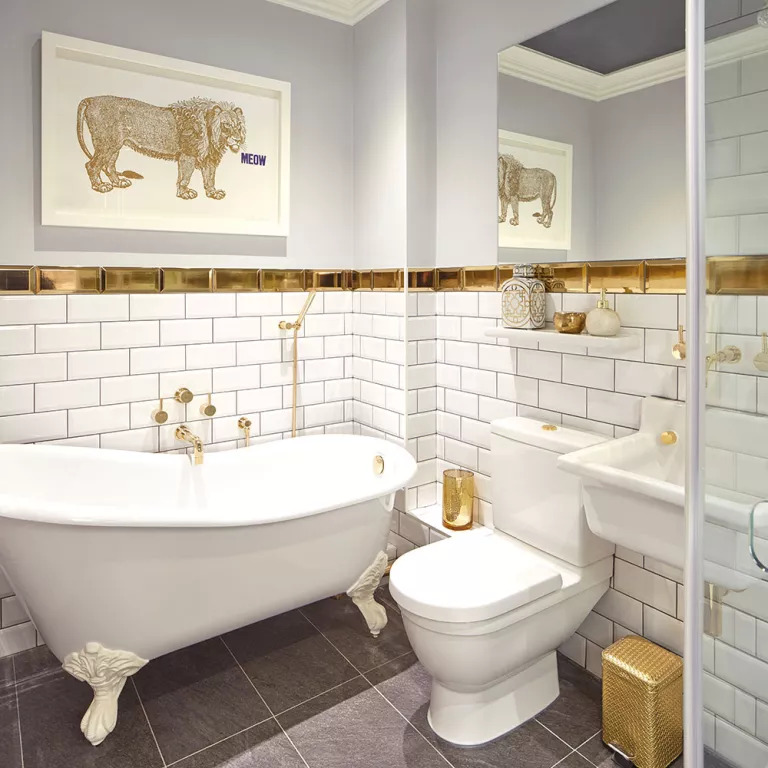 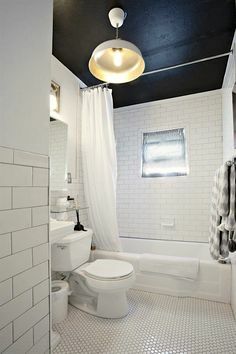 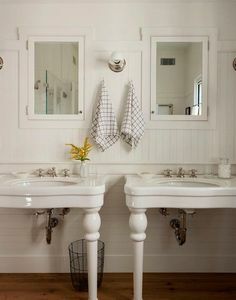 I love this for a half bath but I would change the sink and toilet. 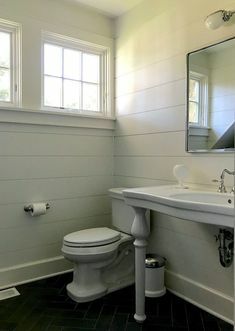 Makes it look almost commercial. 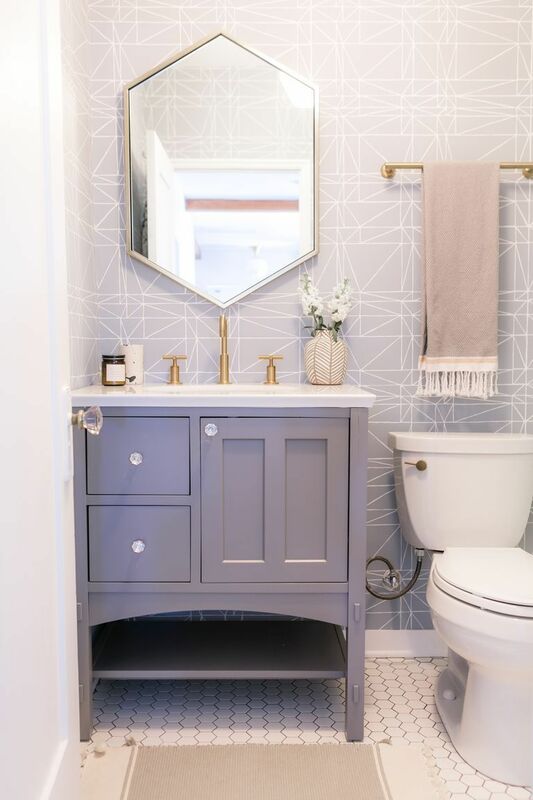 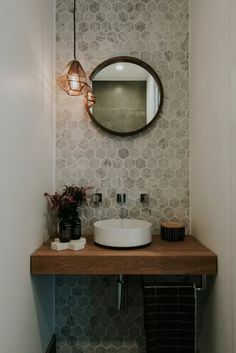 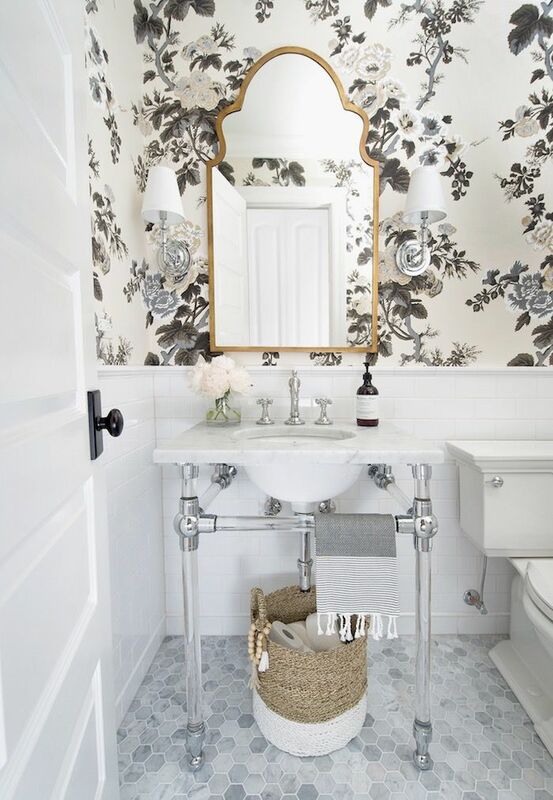 Powder Room with RH glass console sink, Schumacher Pyne Hollyhock wallpaper, white subway tile, 2" hex marble flooring & traditional styling. 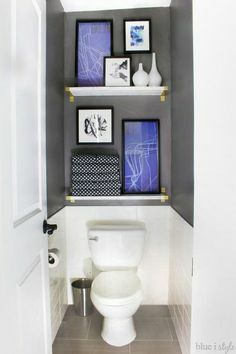 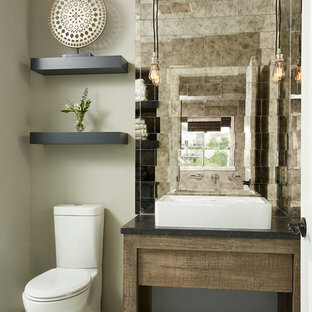 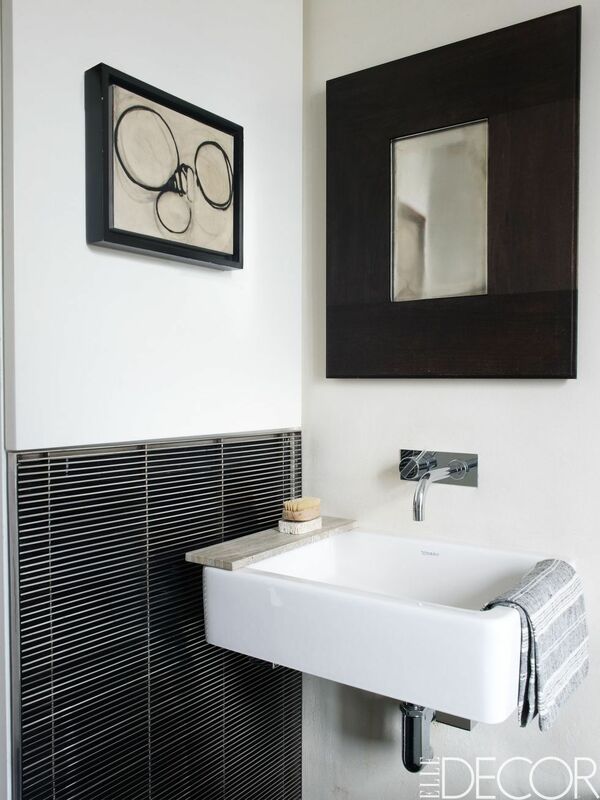 Small shelf above sink adds practical storage in a bathroom or powder room cloakroom room. 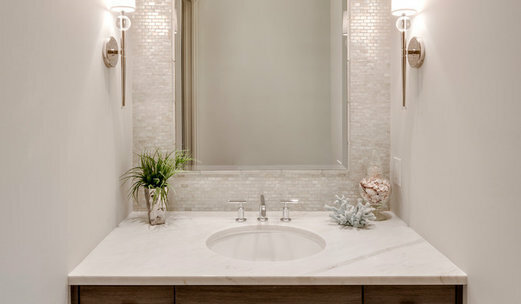 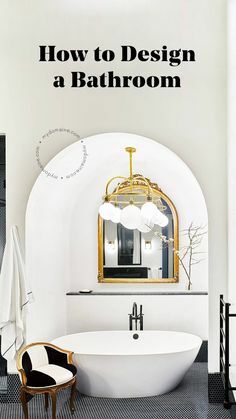 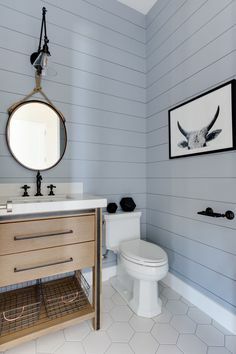 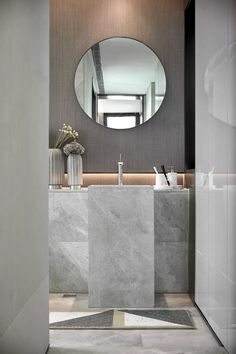 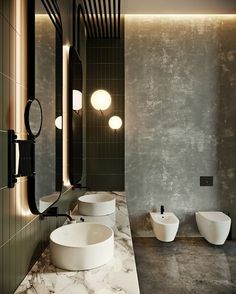 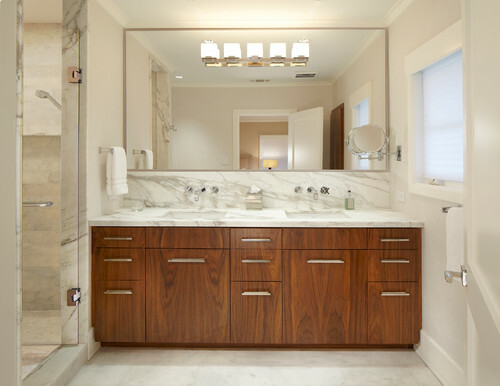 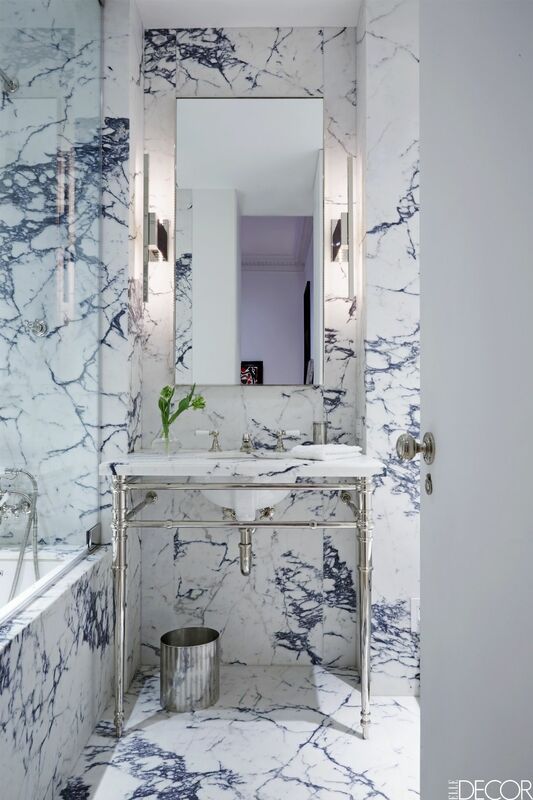 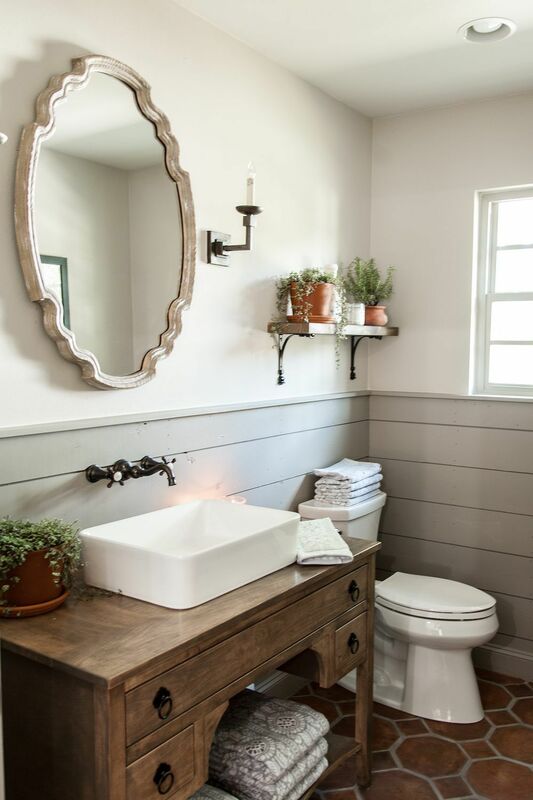 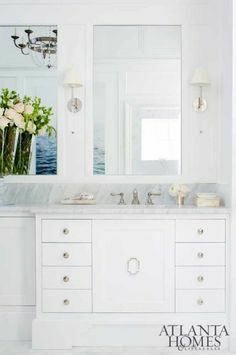 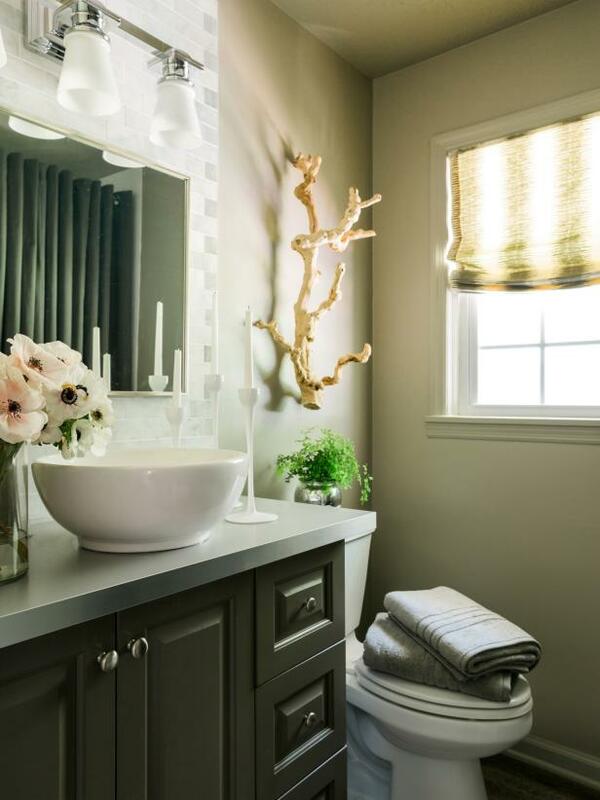 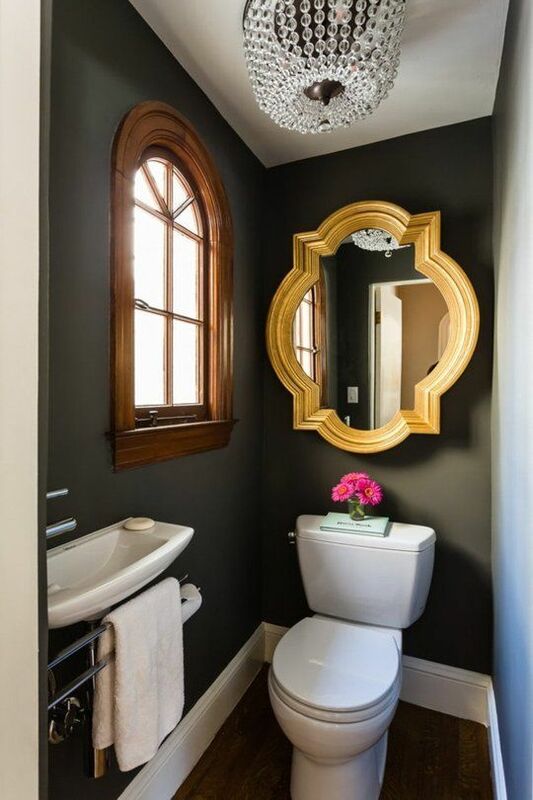 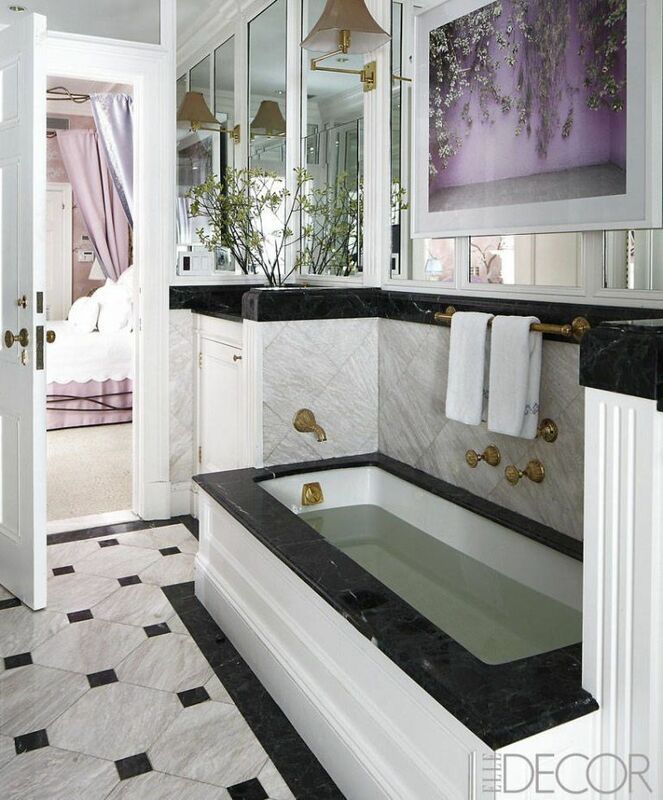 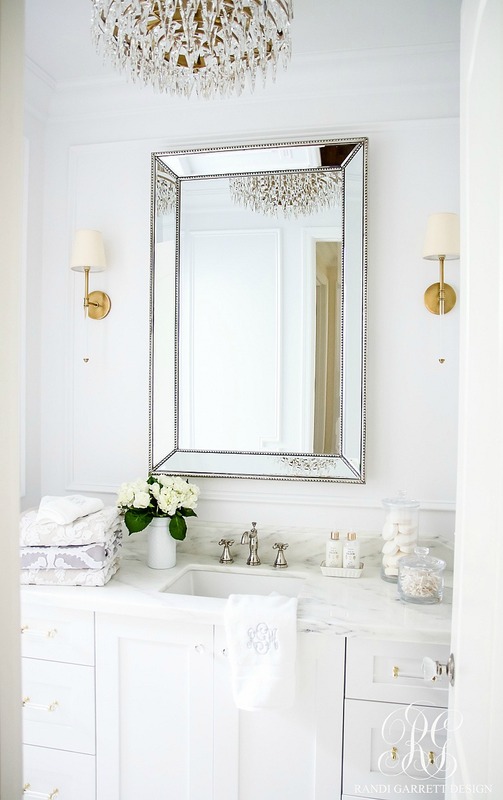 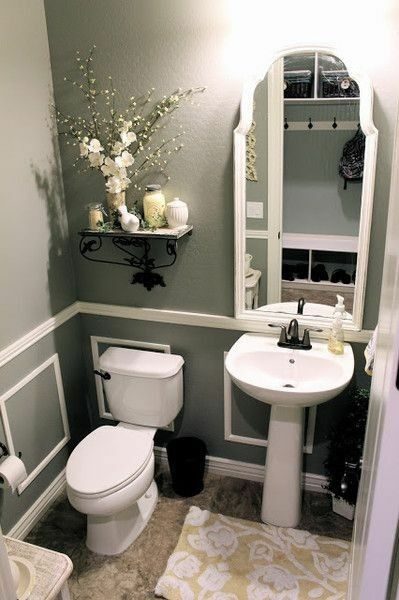 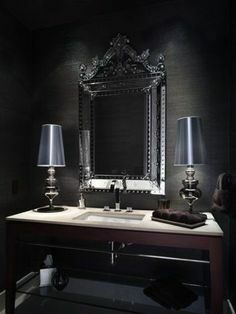 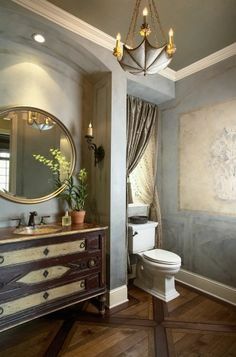 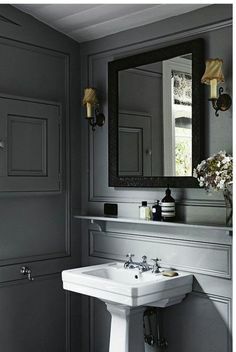 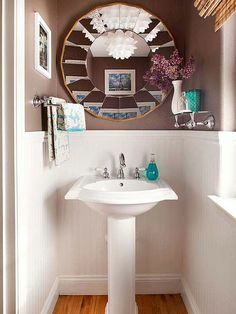 Gray walls, beautiful mouldings and a white pedestal sink. 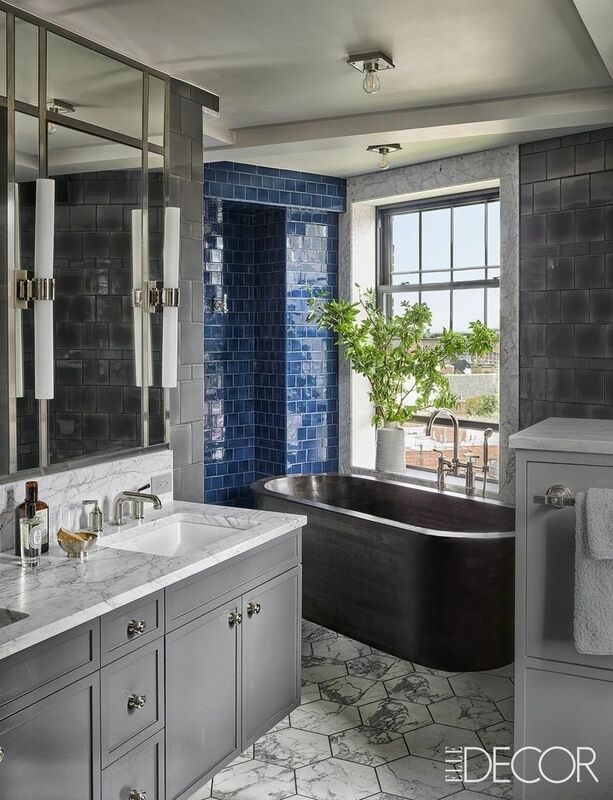 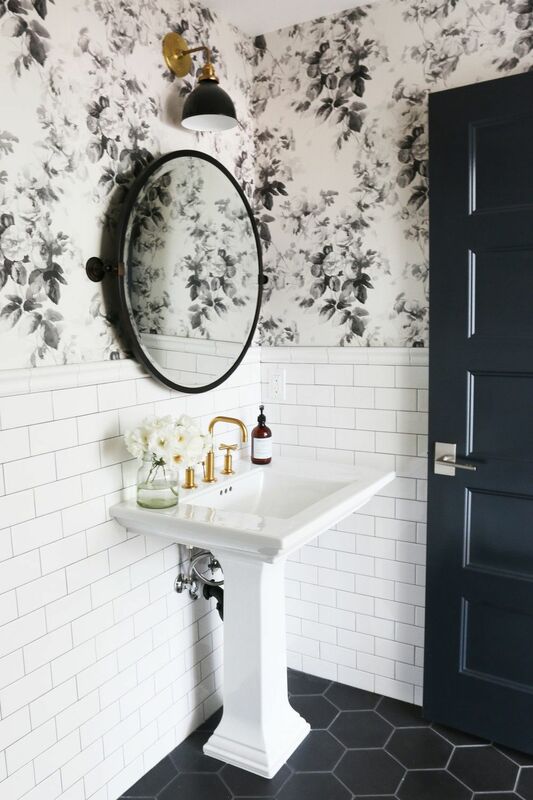 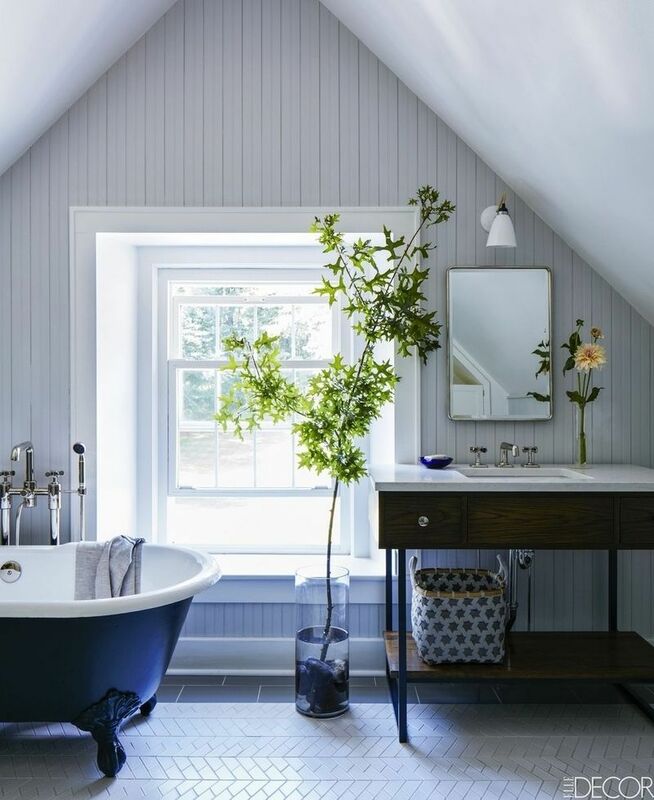 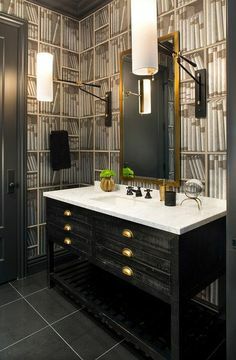 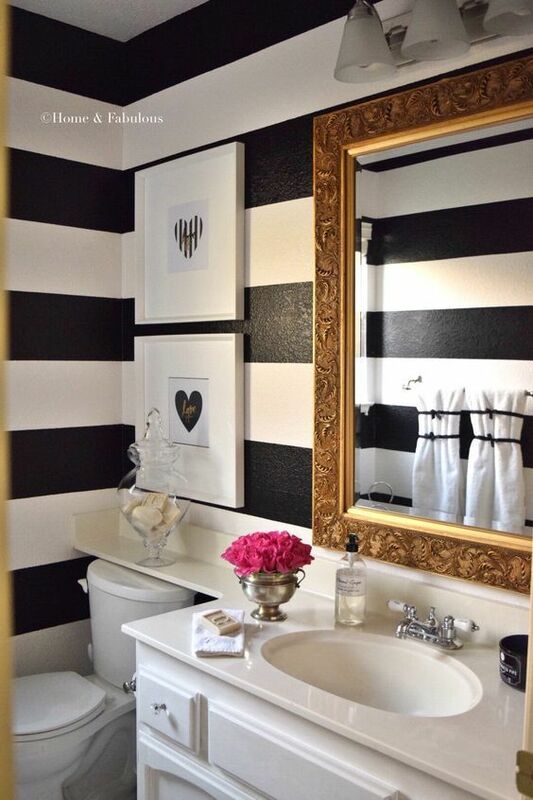 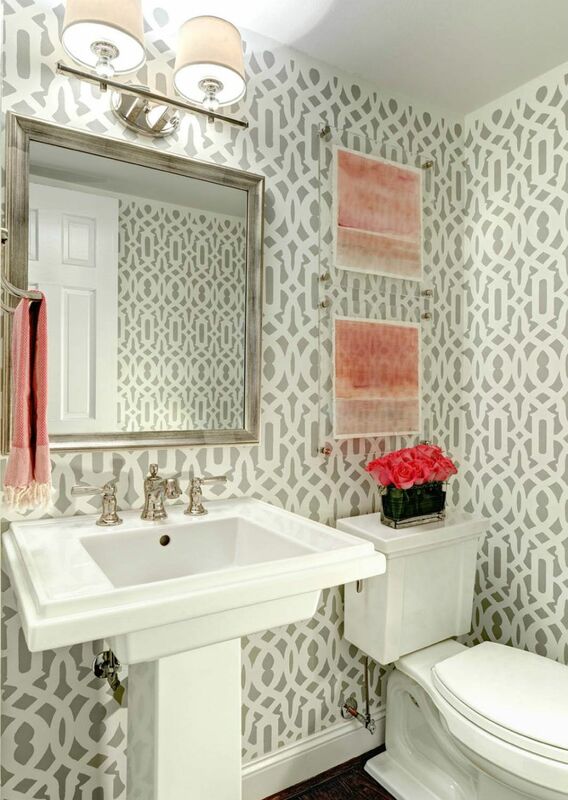 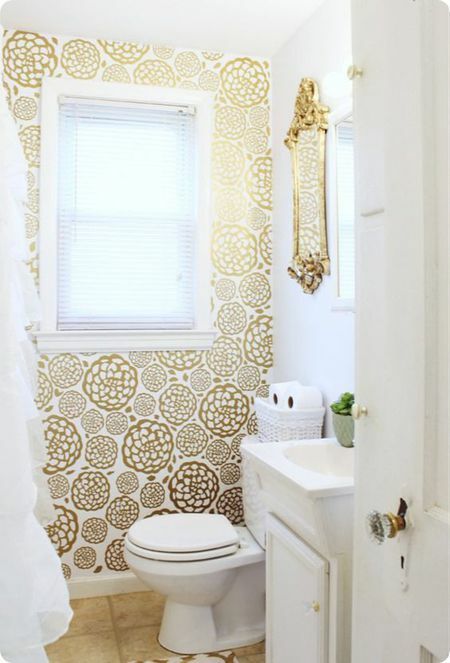 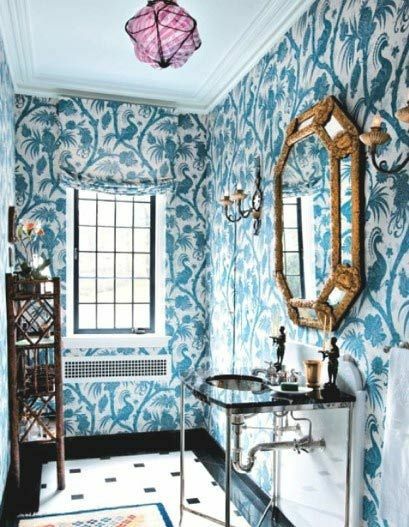 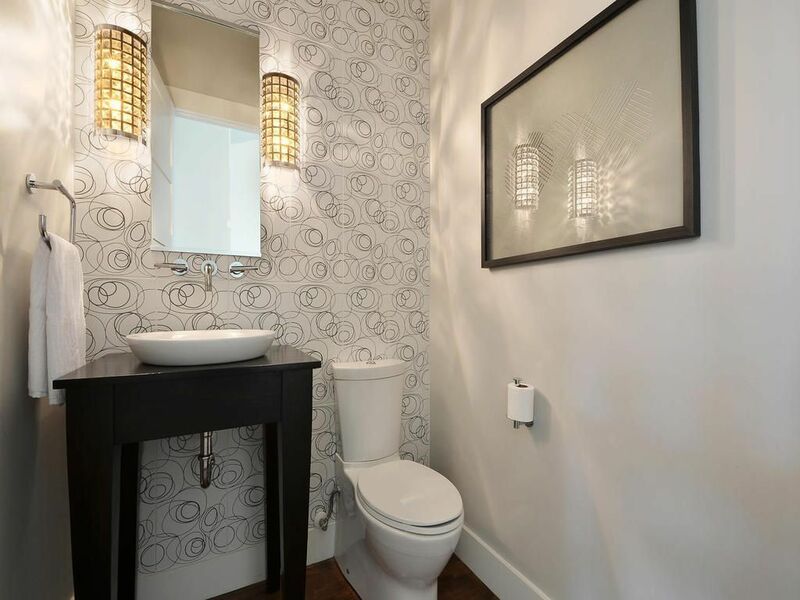 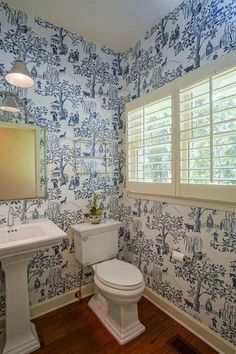 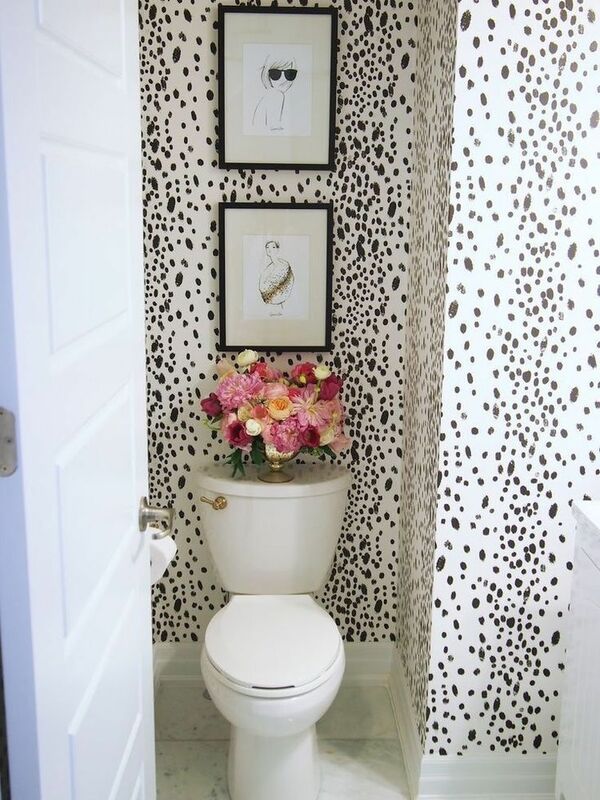 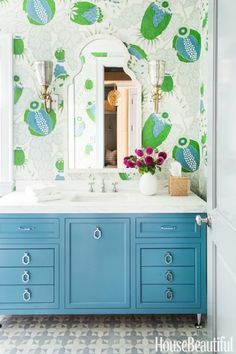 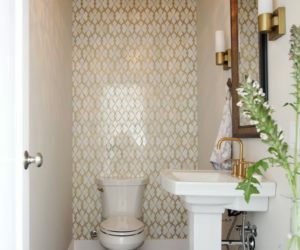 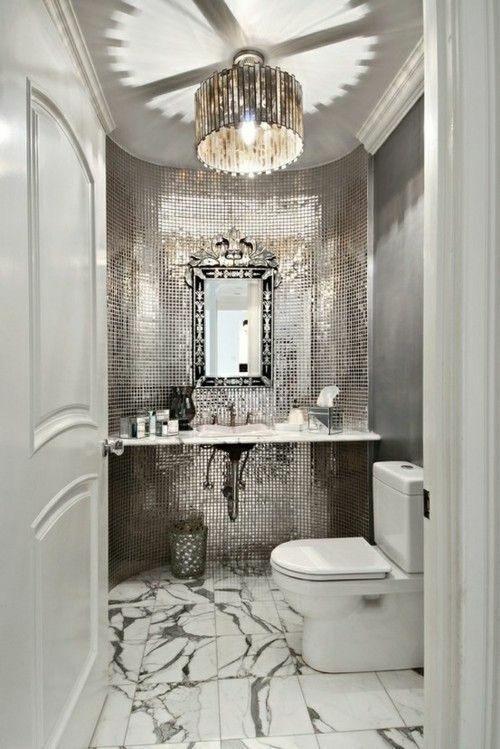 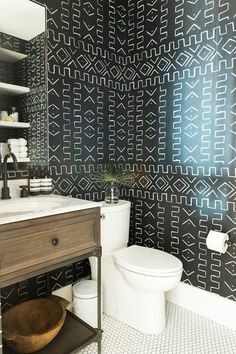 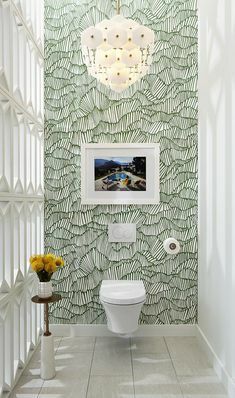 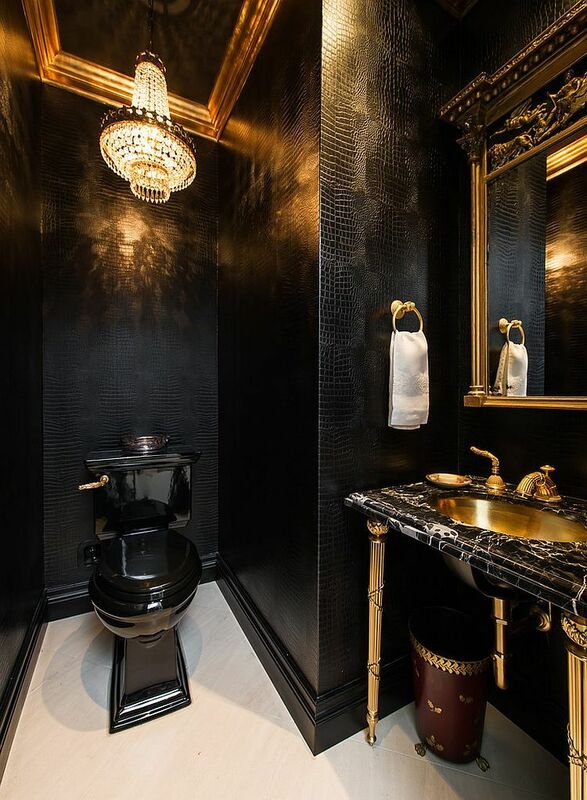 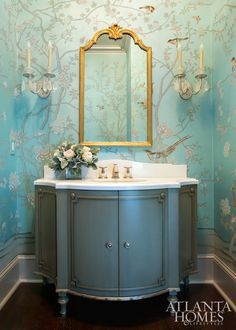 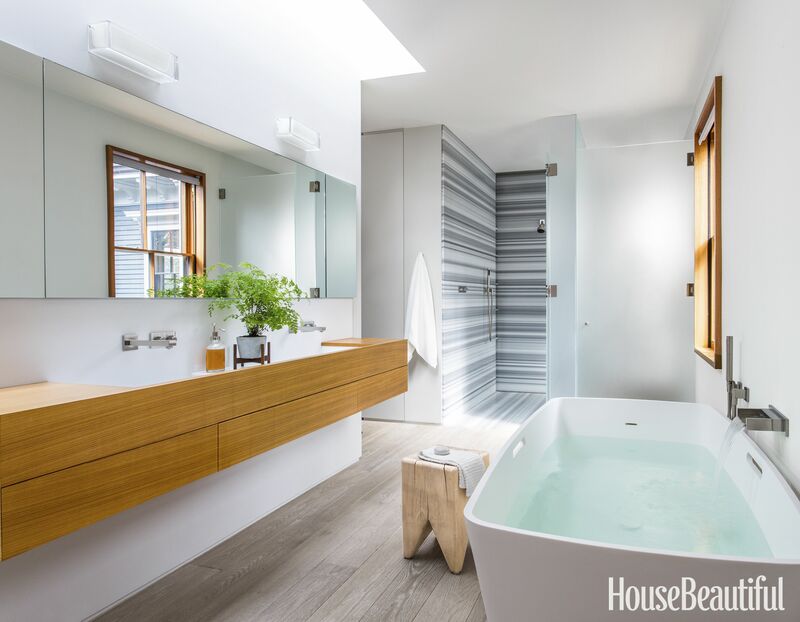 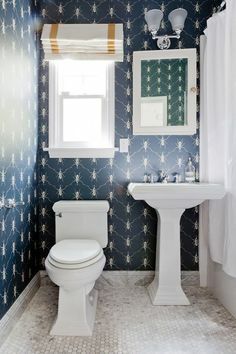 A big bold wallpaper can make a small bathroom look larger. 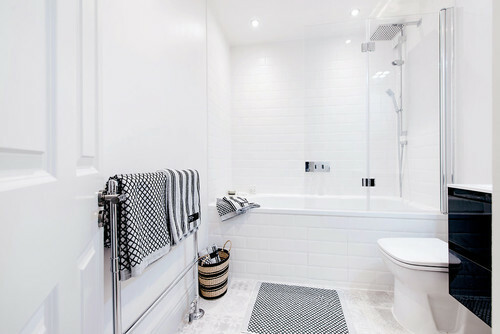 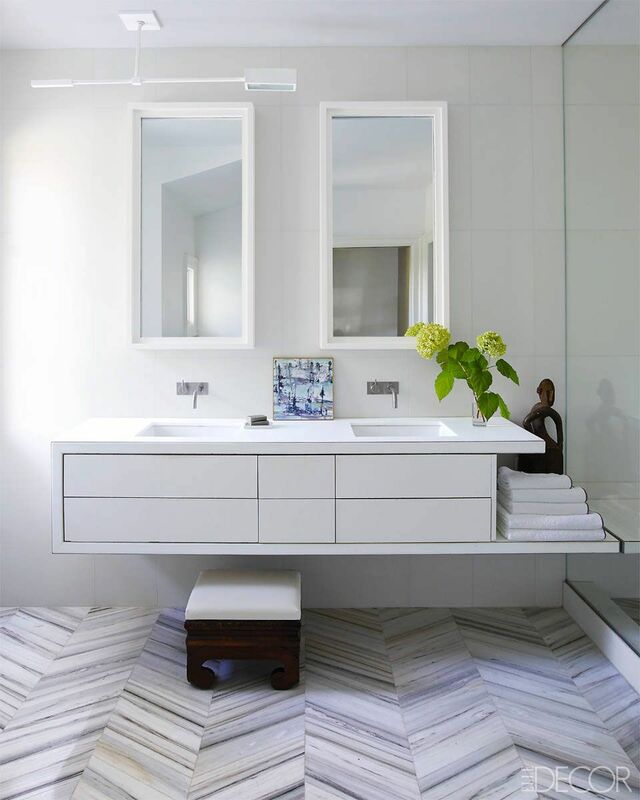 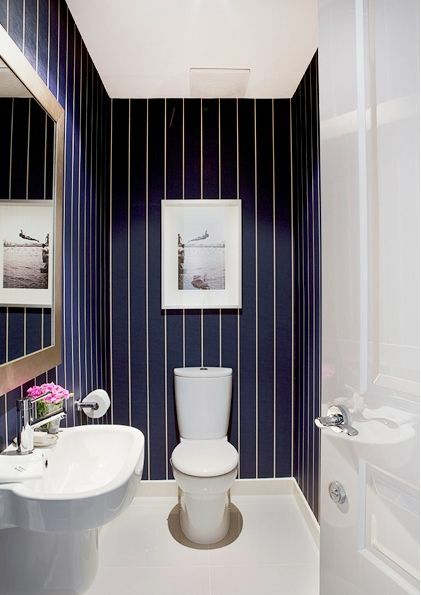 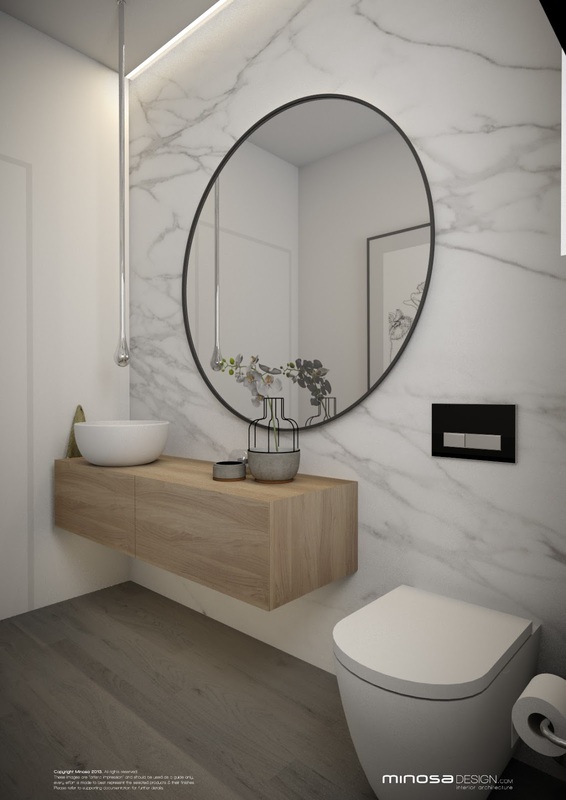 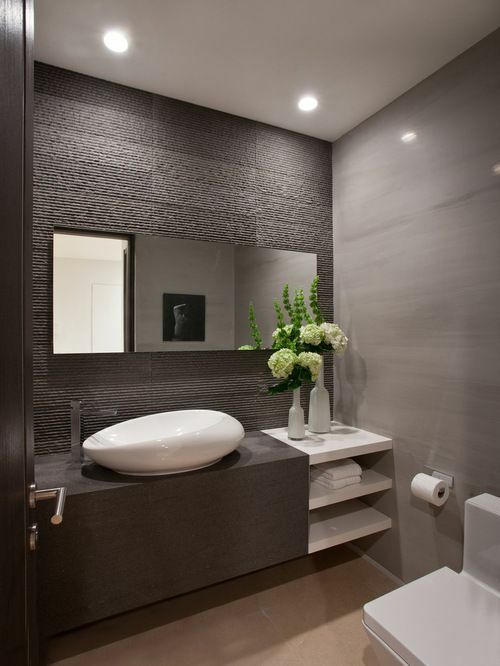 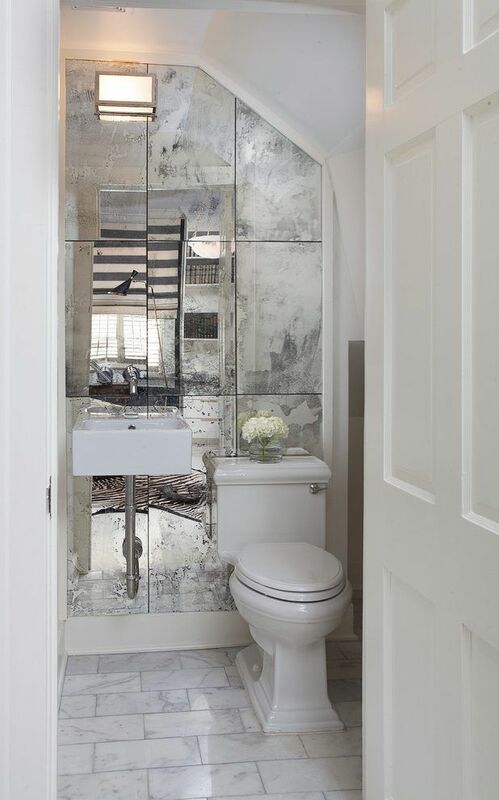 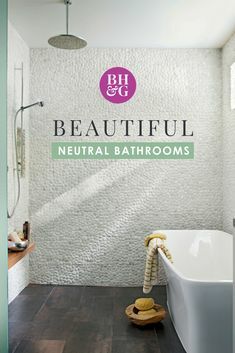 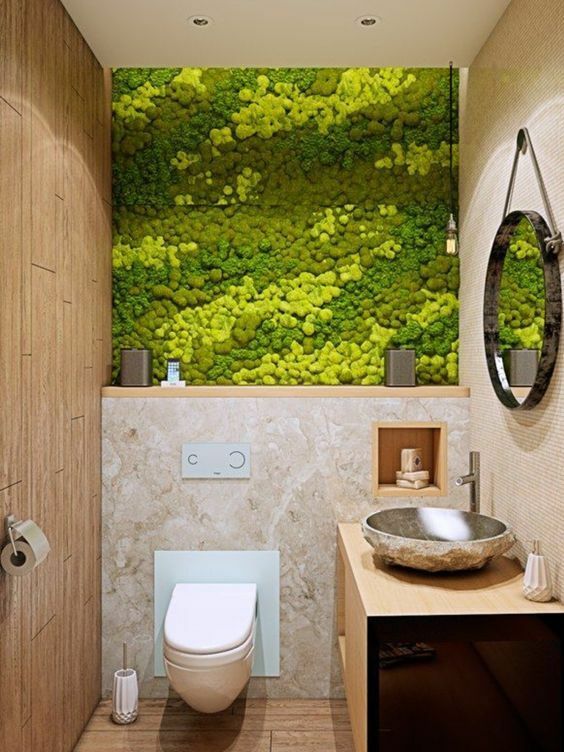 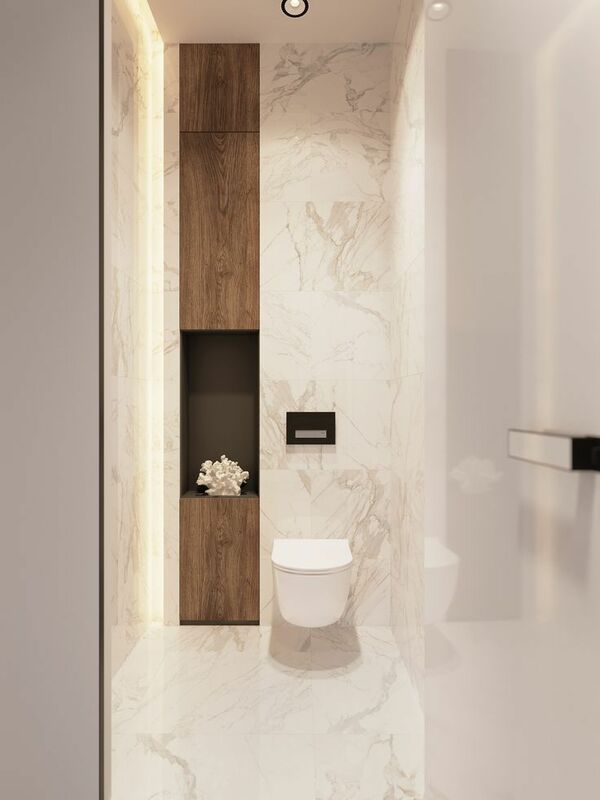 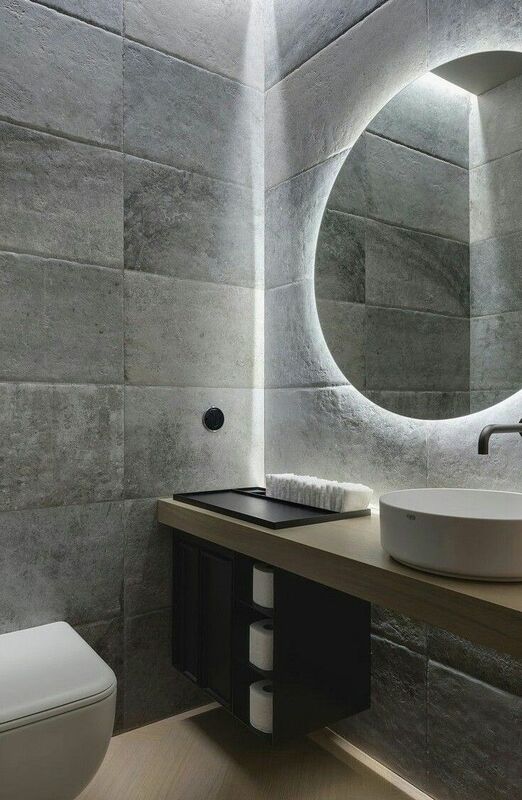 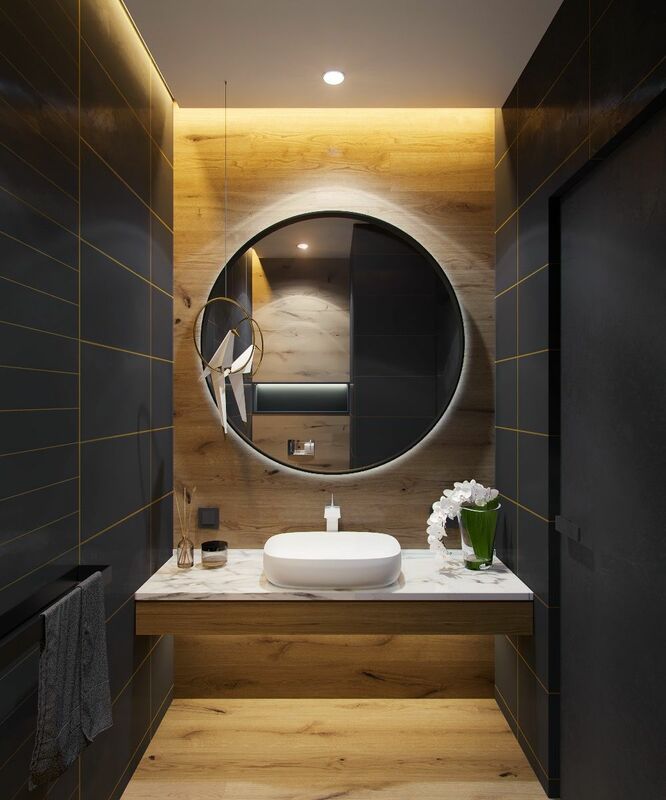 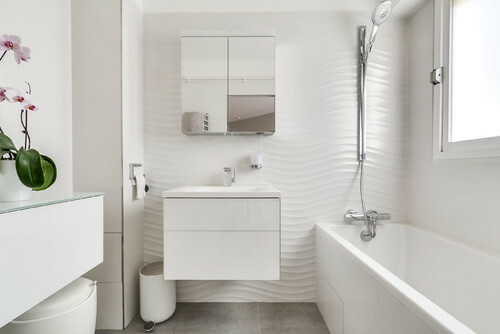 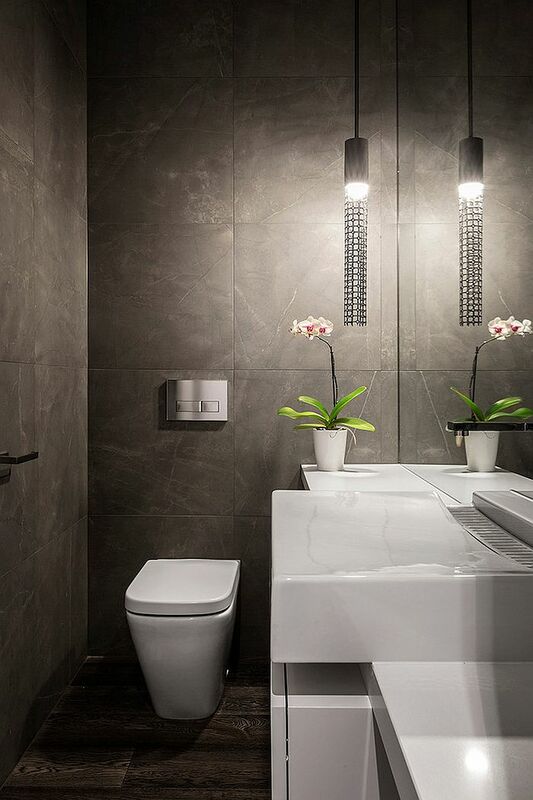 This can be especially effective in slim powder rooms with small walls that don't take much glass to cover.